So I’d kicked the dust of John Verdon off my feet, and was looking for another mystery to read. “Hey,” I said to myself, “you’re gonna be unemployed soon. Why not check out the public library’s selection?” So I did that. 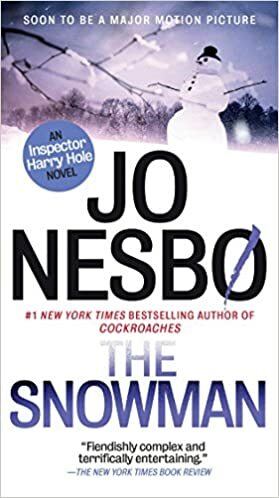 The public library site is kind of hard to browse, but eventually I hit on Jo Nesbø’s The Snowman, another in his long-running Harry Hole series. And I thought, “I don’t love the Hole books, but this’ll be free. Give him another chance.” So I did that. Takeaway: A readable, exciting book. Also overcooked and kind of annoying. My feelings about “Scandinavian Noir” are pretty well established. With rare exceptions, I dislike the genre. I find it nihilistic and depressing. But I’ve read a couple of Jo Nesbø’s Harry Hole books all the way through. 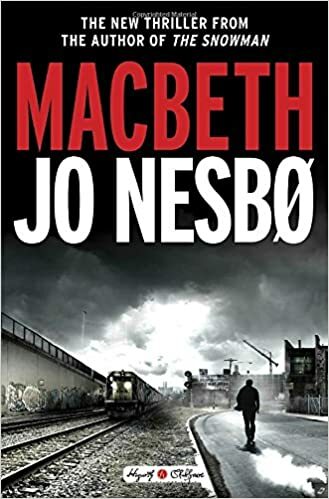 And when I saw that he’d written an updated version of Shakespeare’s Macbeth, set in the police force of a fictional Scottish city, I thought it was an interesting concept, and bought the book. I’d only gotten a fifth of the way through when I noticed I was approaching my reading with dread. This was a journey I didn’t really want to take. The pleasure of Shakespeare’s “Scottish play,” (as we “actors” call it), is largely in being able to hate Macbeth almost from the start. He’s pretty one-dimensional, and you look forward to seeing MacDuff lay on against him. Macbeth here is the leader of a SWAT team when the book starts, a pretty admirable guy. He has a couple serious flaws, though, and it’s easy to see how he could be corrupted. I felt like I knew what was going to happen, and I didn’t think there’d be much enjoyment in it. There was no pleasure here. No moments of lightness. So I put it aside. It’s well written, and if this is your cup of tea, you’re likely to enjoy it. Cautions for adult material.